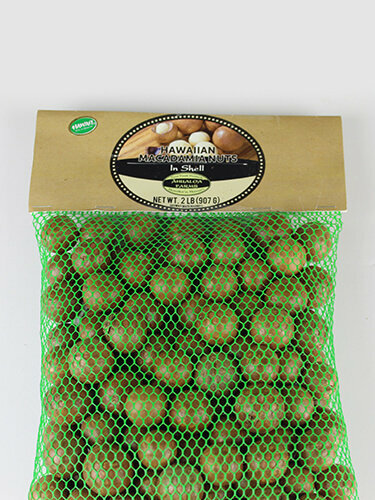 1 pound bags of Hawaii macadamia nuts. These nuts are dried for easy cracking but are not roasted. Choose from 1lb or 2lb Bag.